ZERO1 is calling innovative new media and digital artists with a love of travel and passion for community-driven art to apply to participate in the second round of the American Arts Incubator. American Arts Incubator is an international arts exchange program developed in partnership with the U.S. Department of State’s Bureau of Educational and Cultural Affairs (ECA). The program sends artists abroad to collaborate with youth and underserved populations on community-based new media projects that bolster local economies, address a local social issue, and further social innovation. Artists will be working directly with ZERO1, U.S. embassy officials, and overseas partners to realize a series of public art projects that cultivate individual and community engagement and citizenship internationally. While the first round of artists are in the midst of their exchanges, American Arts Incubator will start looking forward to the next round of artist applicants.Participating overseas locations for the second round are: China, Indonesia, Philippines, and Vietnam. One artist will be selected for each location and will be responsible for creating a public art project plus overseeing a unique “small grants” program to facilitate community-driven art in that location. The deadline to apply May 31, 2015 by 11:59pm PST. Recent: American Arts Incubator workshop held at the Negros Museum in the Philippines. Artist Kendal Henry debuted his Arts Incubator public art project in Papua New Guinea. Pan Stage & Summer Pan Stage 2013/2014. Pantocrator Gallery is a space for the production, exhibition and diffusion of Contemporary Art in all its disciplines–combining gallery activity with a residency program, which opened summer of 2011. 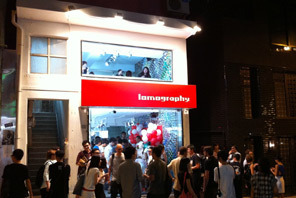 Pantocrator Gallery is located in one of the most important artistic centers of China, the M50 complex in the Moghanshan Lou district in the city of Shanghai where there is a concentration of over one hundred local and international galleries, studios of local artists and design agencies. With each residence programs, the space becomes a permanent production place open to the public during gallery hours, allowing the dialogue between artist and visitors in order to deepen in the understanding of the work, and facilitate their sales. – “Pan Stage 2013-14” : 2 selected artists residents work in the gallery for a period of 1-2 months for each artist–this continues throughout 2013-2014. Artists can work in any medium they desire, from painting, collage, video, digital art or sculpture or installation. The last week of the program the Gallery focuses on an exhibition of the resident artist with an opening in the gallery and all the needed promotion. – “Summer Pan Stage 2013-14” : during July and August an average of four artists working one or two months. Artists should seek scholarship application, grants or financial support in their home countries during the application period. Pantocrator Gallery will provide the necessary documentation to applicants if required + other assistance, such as with housing. 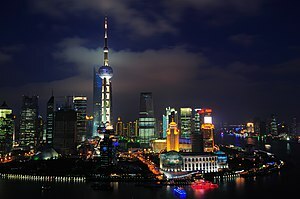 Pantocrator Gallery Shanghai will feature an exhibition space in the center of Shanghai “Zendai Himalayas” during the months of January and February 2013, coinciding with its year-end celebrations. Zendai Himalayas exhibition is a large leisure center where are concentrate restaurant, shops, all major international firms,etc, plus the interest that is awakening in China for contemporary art, this year will also feature exhibition halls with works for sale. 1. Send to pantocratorgallery@gmail.com image of the work you want to expose. Detailing the work measures, technical and brief summary of the artist in English. Approximate Retail Price including 50% of commision for gallery. 2. Subsequently, the selected works will be sent to China from Barcelona, with all others. Each artist must pay the approximate price of the frame and a percentage for shipping, we will provide advance prices as measured by the works. 4.Each artist must sent his work to Barcelona. And must transferred to the bank account of Pantocrator Gallery, the amount for the framework, which will vary depending on the size and number of works, plus the percentage for shipment to China, that in a tube is usually cheaper and less problematic when it comes to pay customs . 10€ frame + 10€ shipping = 20 €. -Deadline for sending the images to the selection is next Thursday, December 13 and the deadline for sending the tube to China on Dec. 22. The painting above, by Fang Lijun is an example of Cynical Realism, a contemporary movement in Chinese painting that began in the 1990s in Beijing and has become one of the most popular Chinese contemporary art movements in mainland China. The art movement Cynical Realism arose through the pursuit of individual expression by Chinese artists that broke away from the collective mindset that existed since the Cultural Revolution. The major themes of Cynical Realism tend to focus on socio-political issues and events since Revolutionary China(1911) to the present, usually with a humorous and post-ironic take on a realist perspective and interpretation of transition that Chinese society has been through, from Communism to today’s modernization. Examples of art associated with Cynical Realism include the “bald head” paintings of Fang Lijun, Liu Wei, and Yue Minjun. View more in the Museum of Chinese Contemporary Art on the web. Sunbelt Mfg. Co. has manufactured quality American made artist canvas since 1982. At one time Sunbelt was a large supplier for stretched and gallery wrap canvases in the U.S. Since the China explosion onto the U.S. market they now focus on professional artists and art instructors, working hard to give their customers exactly what they need. Sunbelt provides all types of custom canvas supports at competitive prices. As a special promotional offer exclusively for Artist Marketing Resources blog readers and Artist Marketing Resources LinkedIN group members Sunbelt will give one artist a 16 X 20 inch Gallery Wrap canvas. To be eligible for selection to receive the canvas, all you have to do is use the share buttons at the bottom of this blog post to Tweet this post and share it on Facebook, then leave a comment below. One artist will be selected from those who comment and will receive the 16 x 20 inch canvas sent to them at no cost! Leave comments up until Wednesday March 20th, noon EST, to be eligible. One artist selected will be asked to provide their U.S. mailing address to receive the canvas. P O box addresses are *not* eligible. Visit the Sunbelt site to view the other products they offer, including wood panel supports for artists and silkscreen frames. The artist section on the Sunbelt website shows some of the artists that use their canvases. They will always be glad to place the work of other artists in their feature section. 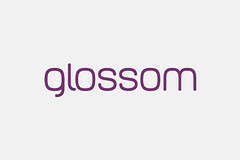 Glossom is a new portfolio site with a difference. Glossom is a social media network for visual creatives. Whether you work in fashion, design, photography, illustration, video making or any other creative media, Glossom allows you to organize your work into Collections and share them quickly “like a visual tweet.” A Collection is displayed as a one page montage of 3 or more images. It is a visually appealing way to present your project or an aspect of your portfolio all at once. I typed my short story, The Waiting Room, from my contributors’ copy of the now defunct print magazine Clamor (with a C), that published it in 2005, along with an illustration. I submitted the story to Yahoo! If you like my story, share it on on Facebook, Twitter and any other social networks you use. Bookmark it on sites like Reddit, Digg and StumbleUpon–using the buttons below. I am an artist and I started this blog in February 2009 with the idea of gathering resources here for artist’s growth. I was born in the USA and I am an artist working with the possibilities of paint layers and poured paints on my supports of canvas, panel and papers– such layering, poured painting, and stain painting is also know as Process Painting. The formal possibilities of my use of color layers and tones, variety of paints and the resulting surface texture are achieved by varying the paint flow, paint run overlaps, and by creating flow interference, splash and splatter. I have an interest in the possibilities of both maintaining and breaking the hard edge. Close-up gives the vantage point of the pleasure of the painterly poured paint run intermingled with elements of patterning and the finer details of applied image transfers and Asemic writing built up on my support in a dense bricolage. Asemic writing consists of language-like marks unreadable as writing so as to straddle the line between the visual and the textual. My Asemic writing is informed by my formal language studies of Mandarin Chinese at the Chinese University of Hong Kong, China, and language studies at private language schools in Tokyo, Japan and in India. My stronger American influences on my Asemic writing reference everyday product package lettering past and present. My high contrast mixed use of Day-Glo to earth color compositions are responses to Asian and American use of color from ancient to recent Pop aesthetics. Color influences of Japan, India and China and the forms of the written characters of the languages of those countries, as well as those elements in other Asian countries I visited–Thailand, Malaysia, Singapore, Taiwan and South Korea–reemerge in newly abstracted and combined forms. Translucent and transparent overlays of color contain the opacity of the drawn stroke. In some of my paintings I work with my collection of large handmade Chinese calligraphy brushes. I abstract written language characters, cut up, juxtapose, and layer fragmented language signs together visually,–sometimes over, sometimes under poured paint, or sandwiched between the layers of my surfaces. In the image transfer elements of my paintings, I incorporate my own drawings photographically reproduced and printed on paper multiple times. 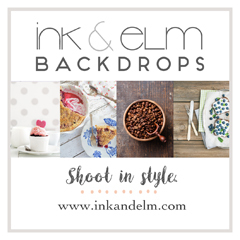 Incorporating too, images from my camera–including outdoor night photography shots, and vintage b & w films I shoot capturing both the individual film frames and the overlapped combined images within frame transitions for use as image transfers. I also collect “found images” and have used images in my paintings that I’ve held on to for 7-8 or more years, printed to paper and used as acrylic image transfers on my supports. Subject matter for my image transfers tend to center around vintage film, holiday and other social symbols and iconography, and commercial product packaging. My daily painting practice yields surprisingly varied results per canvas or composition within the repetition of these techniques and recurring interests of form. Each painting contains traces of what is significant to me, the artist, –my personal progress, growth, shifts, changes, expansions, forward motion, accumulation of thought and work, day upon day, contained within the layers of my paintings, as form, color and texture merge in the spirituality of my abstract painting practice that proceeds from the context of ideas, beliefs and emotions.